Uttarakhand is one of the most famous spots for whitewater rafting in India. The emerald green or icy blue rivers here are fed by melting snow from the mighty Himalayas, and run over rocky beds between mountains. The best rivers for rafting in Uttarakhand are the Ganges, Alaknanda, Bhagirathi, and Yamuna river. Rishikesh is one of the most popular adventure destinations in Uttarakhand. It is known as the Gateway to the Himalayas, thanks to the numerous treks that start from here. It’s also a famous hub for whitewater rafting in India. You can choose from different length stretchs in Rishikesh, with rapids ranging from Grade I to IV. You’ll battle rapids with names like Return to Sender, Roller Coaster, Three Blind Mice, Double Trouble, Golf Course, and the notorious Wall. After a thrilling rafting session, you’ll navigate to more peaceful waters, where you can jump into the refreshingly cool water, or do a spot of cliff-jumping. 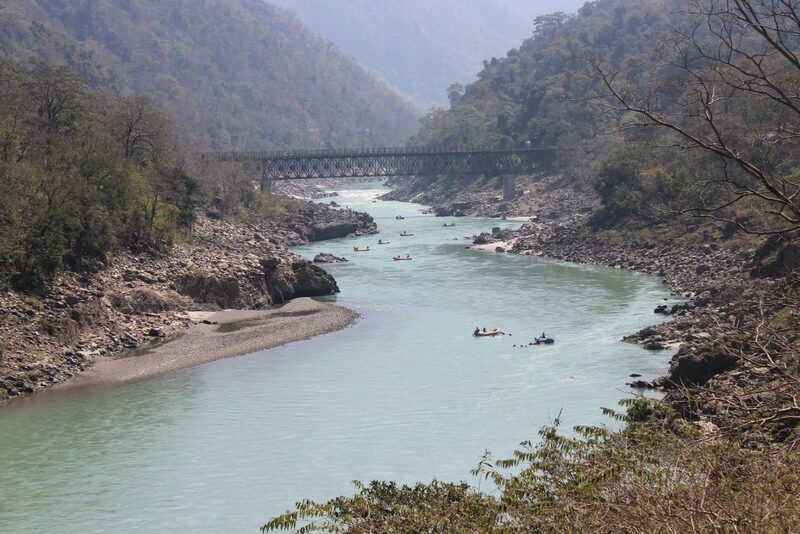 Rishikesh is a great spot for a camping trip too. While camping on the river beach has been banned by the government now for environmental reasons, there are dozens of campsites that offer camping, rafting, and other adventure activities like rappelling, zip-lining, and kayaking. Best season for rafting in Rishikesh: March-May; Oct-Mar (but the water can get very cold in Dec, Jan). Find more adventures in Uttarakhand. If you’re completely new to whitewater rafting in India, Manali is another great option. The Beas river runs past Kullu and Manali, and is fed by the melting glaciers and snow in the mountains. 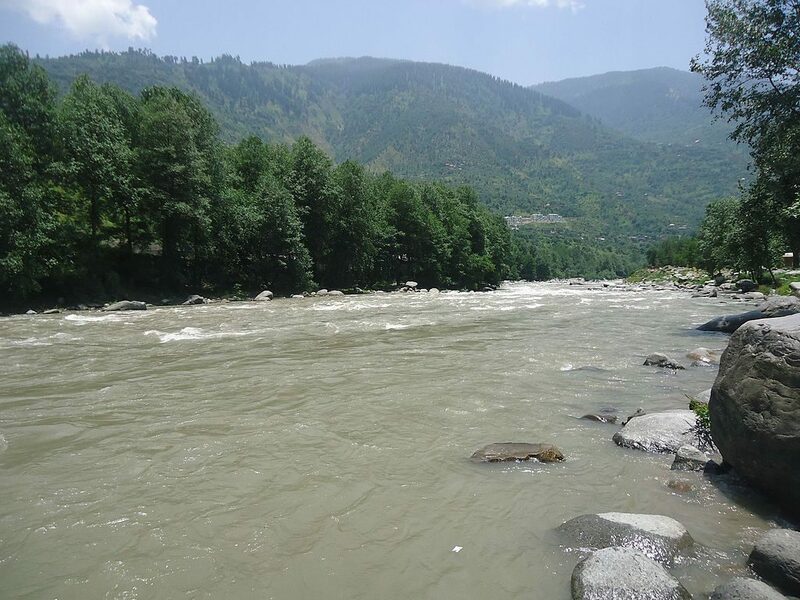 The river is clear and blue under the sunny Himachal skies, and rafting is suitable for beginners and non-swimmers, thanks to the easy to moderate grade rapids on the rafting stretch. During your rafting trip in Manali, you’ll take on 7 or 14 kms of a pristine river, with pine trees and mountain views all around. You’ll battle with Grade II and III rapids, with names like S Bend, Beta, and Gamma, for a fun two-hour session. Best season for rafting in Manali: April to June. Find more adventures in Himachal Pradesh. If you’re looking for spectacular landscape to raft through, you can’t get much better than Ladakh. Whitewater rafting in India is always beautiful and each location has its own charms, but we have a special place in our hearts for rafting in Leh. 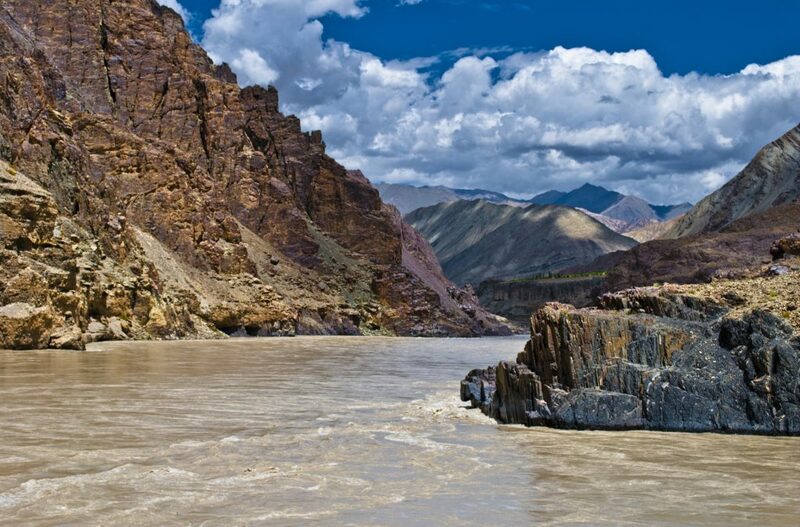 The Zanskar is a massive river that runs through the stark desert-like landscape of Ladakh. You’ll go through ancient valleys, navigating through rock walls that can be as tall as 100 feet in some places. There are different stretches here, some with Grade I to III rapids that are suitable for absolute novices, and some with Grade IV and V rapids that can only be attempted by experienced rafters. Best season for rafting in Ladakh: June to Aug.
Here’s how to choose your Ladakh rafting stretch. Kolad is a sleepy fishing village that lies between Mumbai and Pune, along the banks of the Kundalika river. The river is fairly peaceful for most of the year, except for a couple of hours each day. The famous Bhira dam nearby releases floods of excess water every morning, creating rapids from I to III. 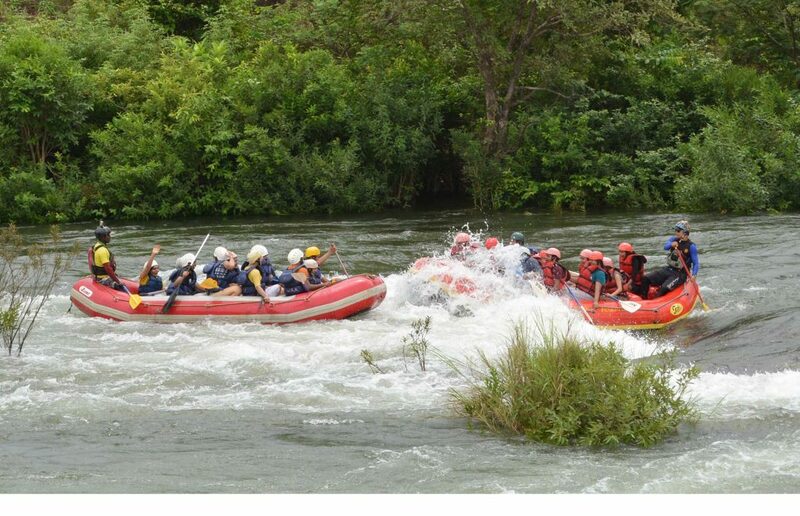 This is when the rafting takes place, offering a fun 2.5 hour session over a 15 km stretch. If you’re going rafting in Kolad, you can book day trips that include only rafting, or combine it with meals and adventure activities like rappelling, Burma Bridge, ziplining, and kayaking. There are a number of campsites along the river, with a range of accommodation options, from budget tents and cabins to air-conditioned rooms or large bungalows. Best season for rafting in Kolad: Rafting in Kolad is open year-round, but during the monsoon, it’s cool and green all around, and the river is full, which makes for the best experience. Volcanoes, dinosaurs, and lots more: Bet you didn’t know these cool things about the Western Ghats! There are a number of excellent options in India if you’re looking for whitewater rafting in other locations. The Teesta River in Sikkim and Darjeeling, Brahmaputra River in Arunachal Pradesh, Barapole in Coorg, Karnataka and the Mhadei in Goa.